Lasting Impressions offer an enviable range of styles and colours with a range of options that are virtually endless. Don’t worry though, we won’t overwhelm you with too many choices, instead we will present you with an appropriate selection of options tailored to your requirements. 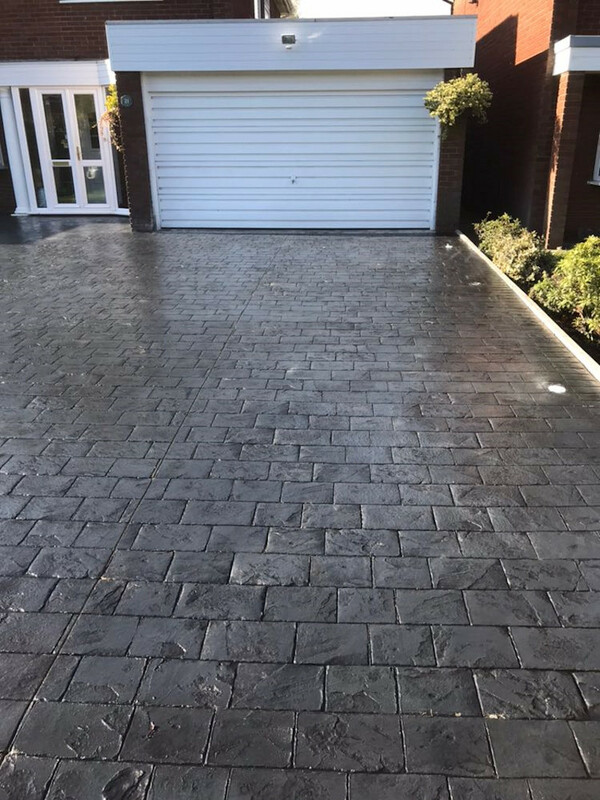 We recently completed laying a new driveway in Bowden, Cheshire to the front of the house and garage. 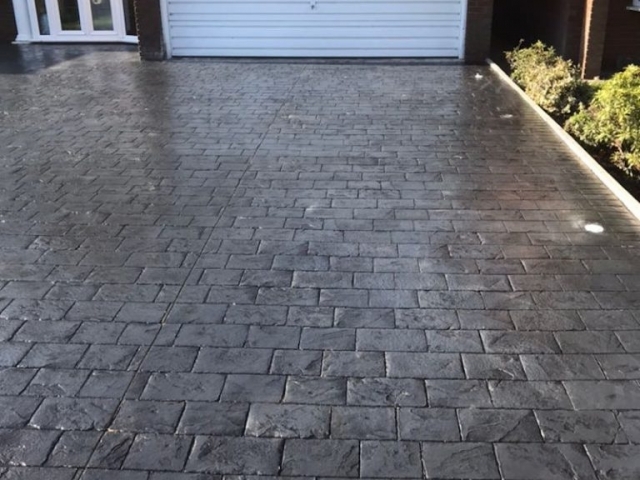 From the range of options available, our client chose an imprinted driveway coloured in classic grey and printed in large London cobble. It was then finished with a mid-sheen acrylic seal. 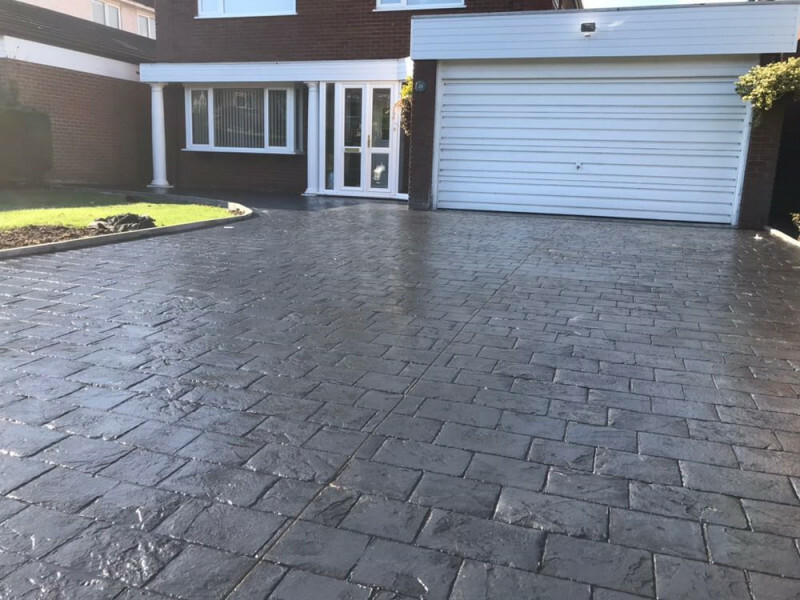 As you can see from the photographs the end result was a stunning driveway that complemented the style and age of the property and its surroundings! With any driveway you can also choose to add distinctive kerbs, edging or walling to complete the perfect look. Lasting Impressions will incorporate these to match your preferred or existing design. In this instance the client intended to raise the height of the lawn and so we supplied concrete edgings. At Lasting Impressions, you can be assured that our work always performs as well as impresses. We use quality materials that are laid by a skilled and experienced team of professionals.